A magistrate’s court sitting in the Iwo Road area of Ibadan, Oyo State, on Thursday sentenced a 47-year-old woman, Funmi Salako, to two years’ imprisonment for defrauding a deaf and dumb man of N1million. The court, which was presided over by a magistrate, Taiwo Oladiran, was told that the defendant, who is a civil servant with the Oyo State Ministry of Land, Housing and Surveying, collected the money from her victim, one Musibau Ilori, under the pretext of helping him to purchase a piece of land for farming along the Ibadan-Oyo Expressway. The Punch reports that Mrs. Salako was first arraigned on June 5, 2017, on three counts of conspiracy, obtaining and stealing. The prosecutor, Sunday Ogunremi, had told the court that the defendant and others now at large conspired to defraud a deaf and dumb by collecting the sum of N1m from him. He said Salako and others at large fraudulently obtained the sum from Ilori under the false pretences of helping him to buy two acres of land along the Ibadan-Oyo Expressway. “The accused converted the money to her personal use without the owner’s consent. She committed an offence punishable under sections 518 (6), 419, 390 (9) of the Criminal Code, Cap 38 Vol. II, Law of Oyo State of Nigeria, 2000,” he had said. The counsel for Salako, Florence Badmus, begged the court to temper justice with mercy because the accused was the breadwinner of her family. 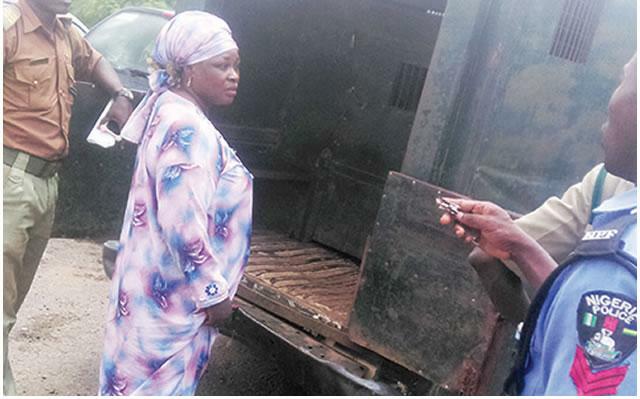 She said her client had already refunded the sum of N500,000 to the owner. While delivering judgment, the magistrate told the convict that she was heartless by overlooking the condition of the person she defrauded and subsequently sentenced her to two years’ imprisonment. The magistrate, however, gave Salako an option of fine in the sum of N60,000, adding that if she chose the option, the balance of the money must be paid.